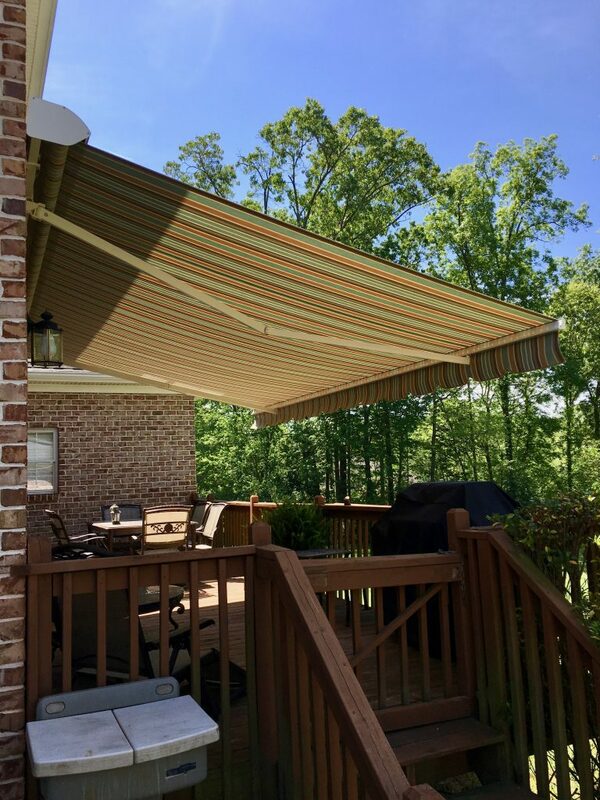 We recommend and install Sunair ® retractable awnings, featuring Sunbrella and Para fabrics and Somfy motors, choice of professional awning makers. We have many years of experience with retractables, and are certified Somfy Experts, factory-trained to work with these motors. 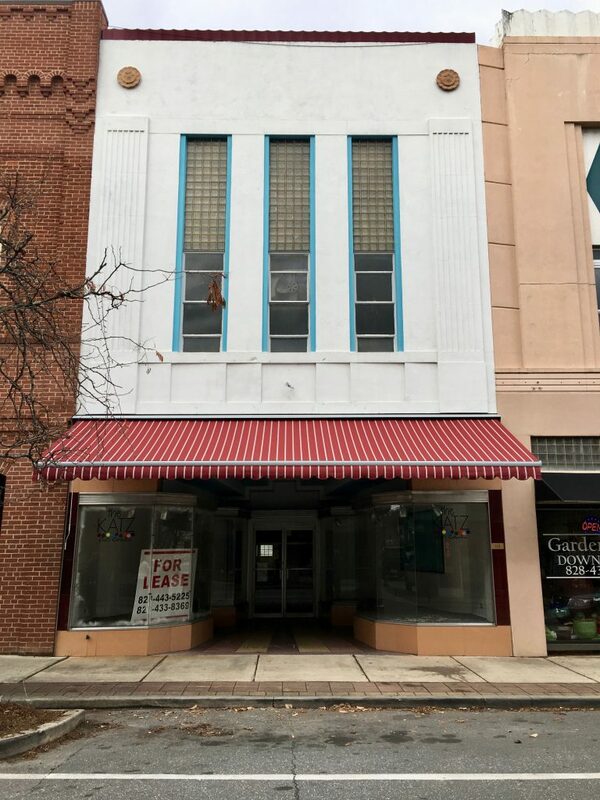 View our Sunair Pro brand awnings at Sunair Awnings to see the products in action, and to learn more about retractable awnings, and vertical shade screens. 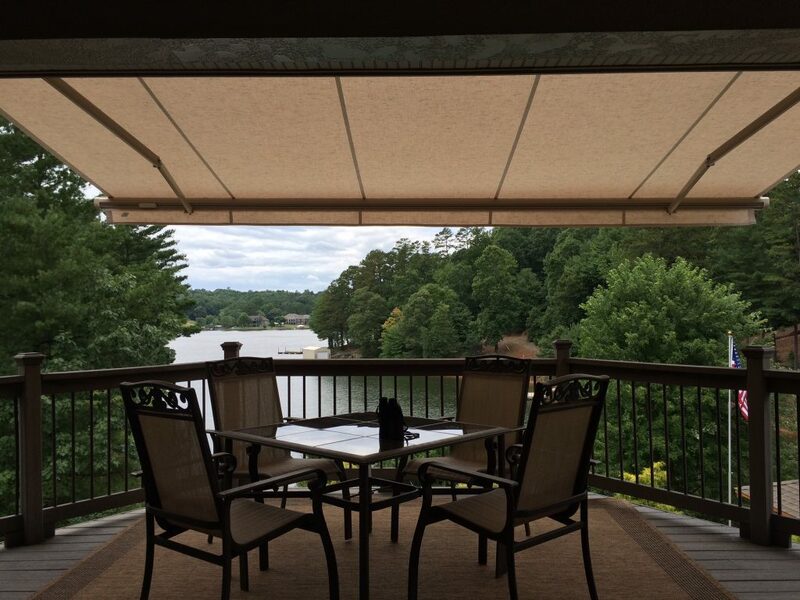 We also install motorized shade screens, which give you the choice of sun or shade while preserving your view. Lift the screen and let the sun in when you want it. At the touch of a button, the screen lowers and transforms your space. A Power Screen can provide privacy on your patio, shade your large windows, cool interior rooms, adding comfort and protection. See a shade screen in action at Somfy Systems. 828-381-2349 and we will bring swatch books to help you choose just the right shade for your home.